Supply and erect scaffolding to comply with the health and safety at work regulations. 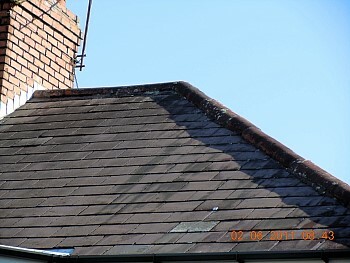 Strip of existing roof covering. Remove all roof batterns and denail all roof joists. 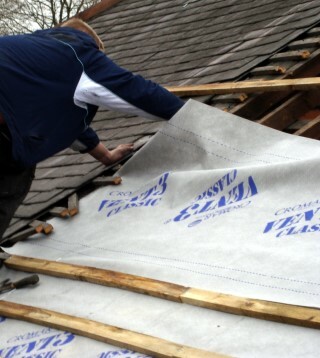 Felt roof with tyvek breathable roofing felt. 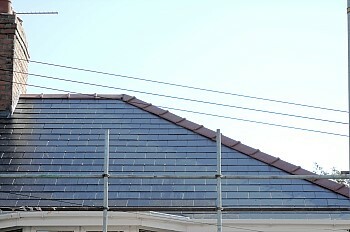 Battern roof with 2x1 treated roofing batterns. 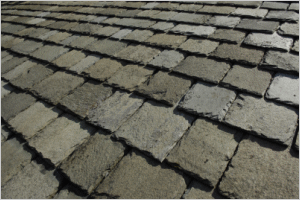 Slate roof with 600mm x 300mm eternit fibre cement. Chase out chimney stack 1 inch deep,insert wedge and cement new 6 inch code 4 lead stepped flashing and dress. Ridge roof with Marley/Redland universal ridges to be bedded in cement mortar at a ratio of 3 to 1. Take down and remove scaffolding. 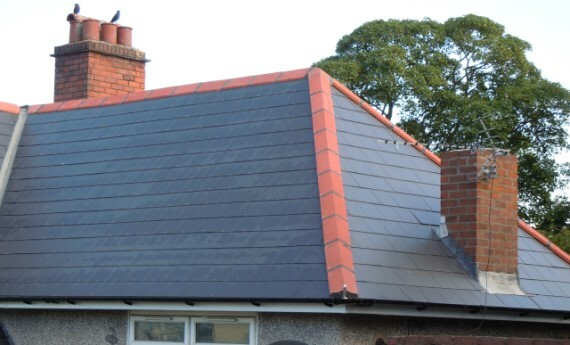 Roof to carry a 30 year guarantee.